I’ve always wanted to walk into an airport with my cabin bag packed and just say ‘what flights have you got leaving in the next hour’…and go. Go on an adventure somewhere I’ve never been and work stuff out along the way! But in reality as romantic as that sounds it’s not always so easy and you do need to plan a little. Enter WowTrip, a company who plan a surprise trip for you by booking your flights and hotel but not telling you were until the day you fly! Tell them your budget and the dates you’re available, discount any cities you’ve already been and let WowTrip do the rest. 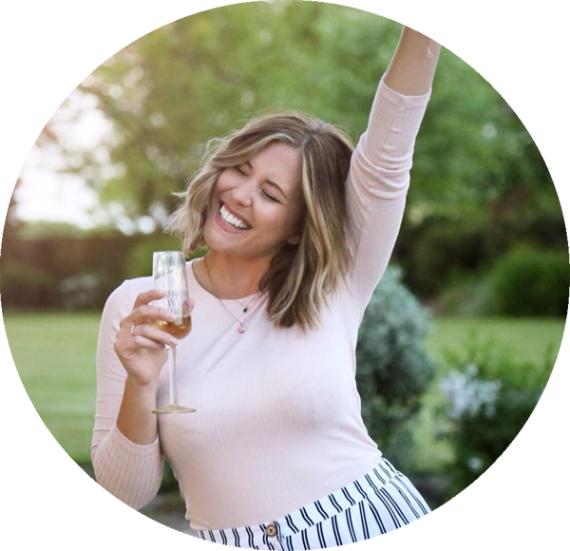 I booked with my friend Maggie for a 2 night, 3 day trip discounting Amsterdam, Krakow and Bucharest because I’d already explored and vlogged those – we felt like somewhere new to experience! Our trip was booked and 48 hours before we went we received a weather report for our destination and the flight times so we knew where to be and when and also what to pack! 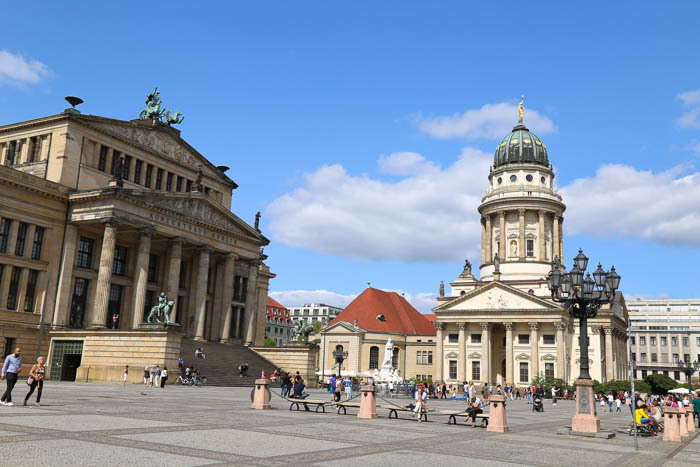 The morning of our trip we woke up around 4am and made our way to T1 at Manchester airport – it was time to reveal our destination….BERLIN! Neither of us had explored there before and we were both so excited. As soon as we got through security we grabbed a breakfast from Pret and started to google things to do in the city and plan our mini break! Two hours later we’d left cold rainy England behind and landed in 30oC GErman heat ready to explore and see what Berlin has to offer! As well as not knowing where we were flying to we also had no idea about our hotel until we opened our email! 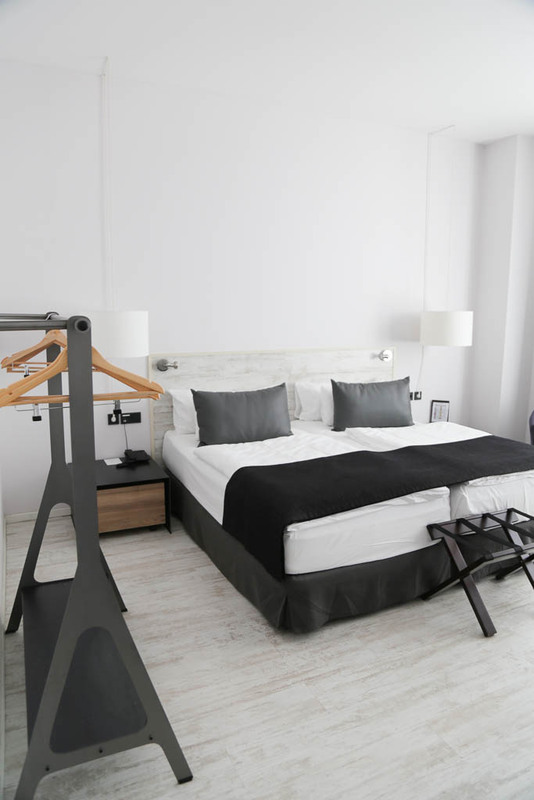 We were staying in the 4 star Catalonia Berlin Mitte, a stunning arty hotel in the centre of the city around 10 minutes walk from the station and well within walking distance of all the big sites. 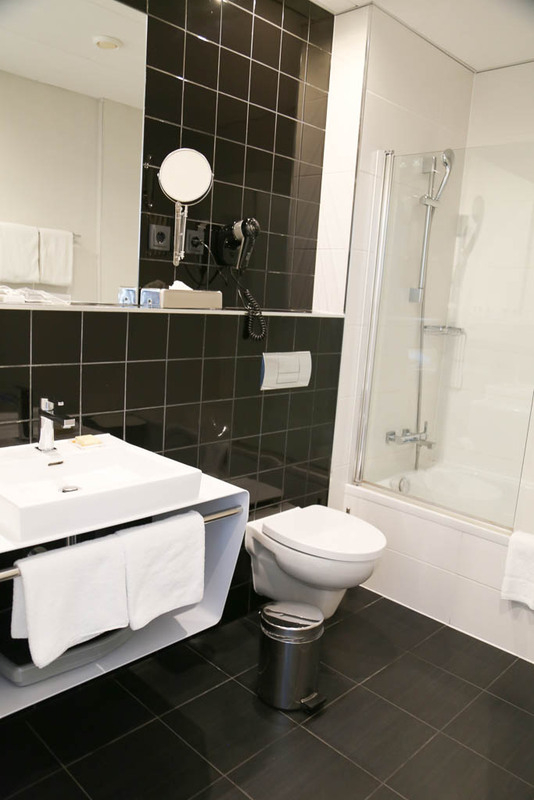 Our hotel room was gorgeous with a bright spacious bedroom and large bathroom, super clean, really friendly and helpful staff and quiet – perfect for getting your head down on those comfy beds after a day of exploring. I’m not sure what I was expecting from our hotel but I don’t think I expected it to be this nice. We were well and truly impressed. …or any one of the gorgeous outdoor spots in the city, just watch out for the wasps! 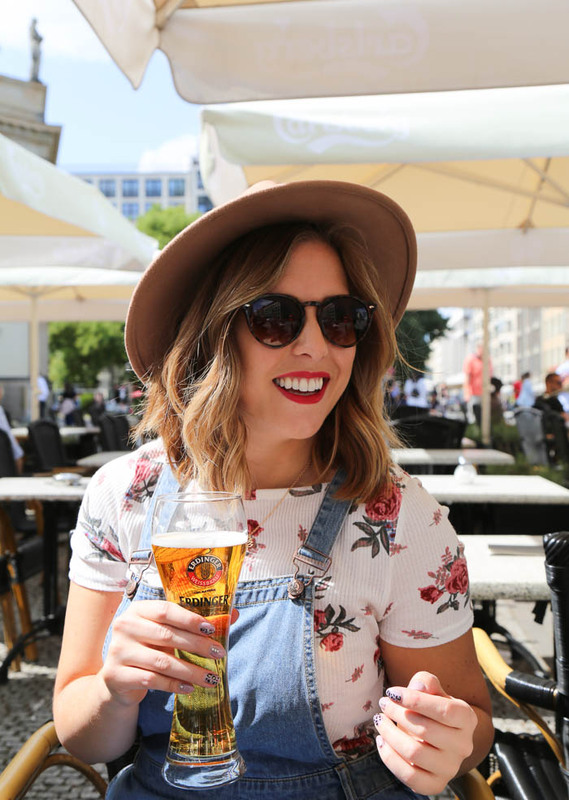 I love people watching, especially with a nice German beer in hand. 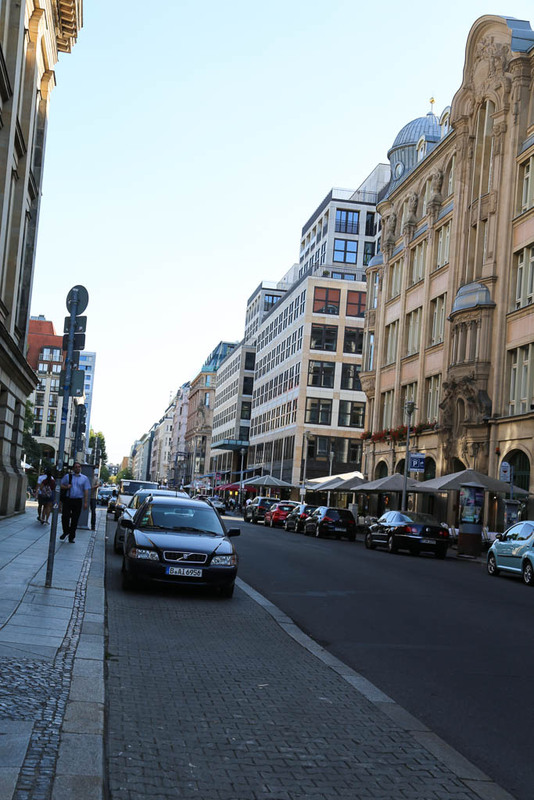 I think it’s a fantastic way to get a vibe for the place you’re in, watching people come and go, hearing the different languages and just soaking in the city. 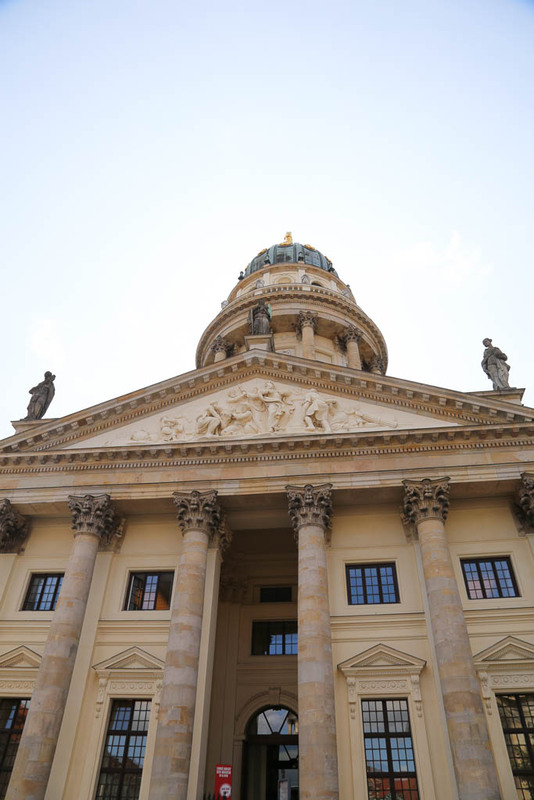 The Gendarmenmarkt is a beautiful public square surrounded by two churches and the concert house and is perfect place to sit and watch the world go by. One of my big things about travelling to a new part of the world is eating all the food! Trying new flavours and traditional dishes from each country – even if they don’t necessarily eat them all the time! 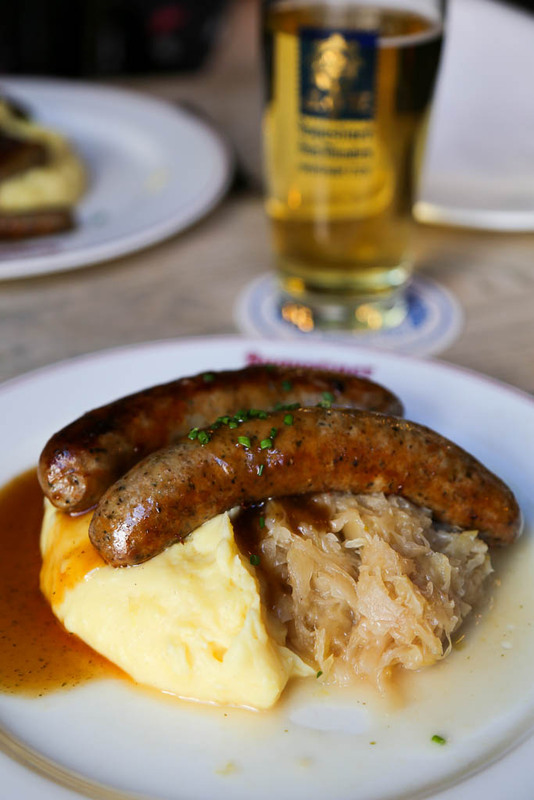 In Berlin Bavarian food it is – think tasty sausages, apple strudel, mashed potatoes, sauerkraut and warm gravy! It’s hearty and delicious food that I thoroughly enjoyed! And how else can we wash down our Bavarian meal? With a giant beer stein of course! 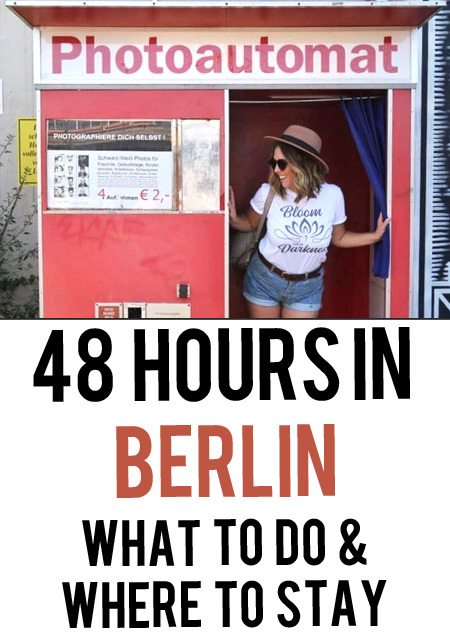 A cheesy but necessary task when visiting Berlin, and one that you can tick off in multiple places around the city. 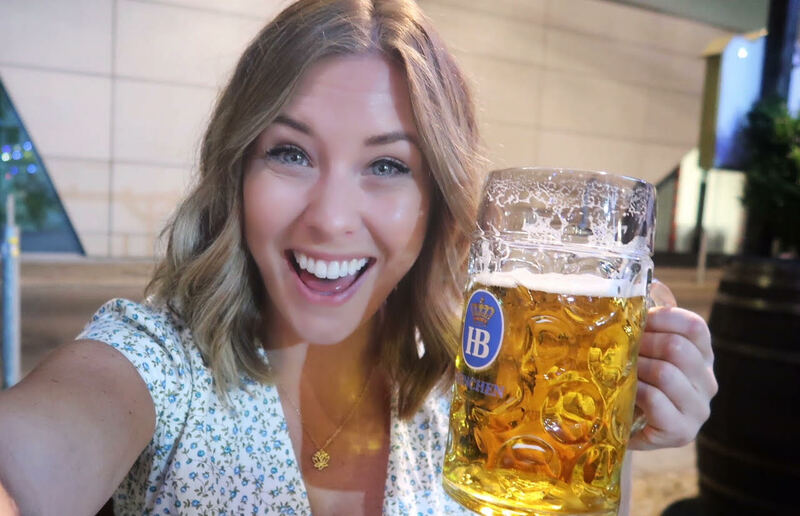 We visited Hofbrauhaus a 3 story beer house and brewery that was a lot of fun, just make sure you go to the gym before you try to pick up those steins! 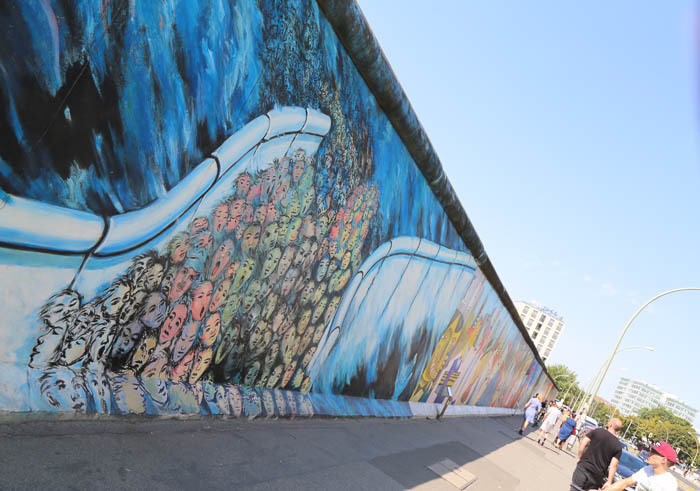 The East Side Gallery is the largest open air gallery in the world and a real sight to see. With graffiti and murals spanning its entire length it’s incredible to walk alongside and look at as the world bustles around you. 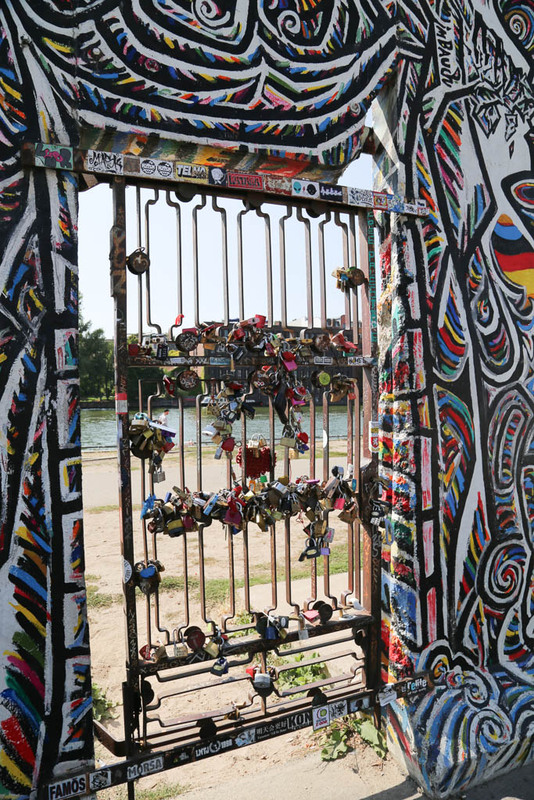 A real piece of history still standing in the middle of an amazingly cool and vibrant city. 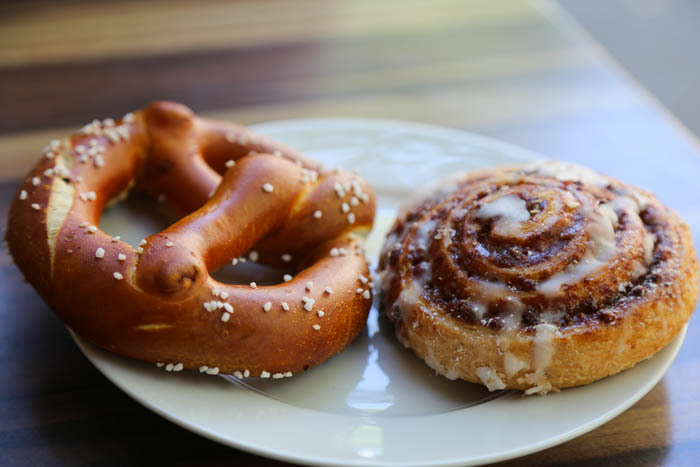 German pretzels are THE BEST! Super soft and salty, the perfect snack to keep you going as you explore between meals. Find them on little street carts or in the many delectable bakeries around town. Delicious! The Typographie Des Terrors are the old headquarters of the secret state police and old gestapo prison but is now a museum that is free to walk around with lots of information to read about the history of Berlin. 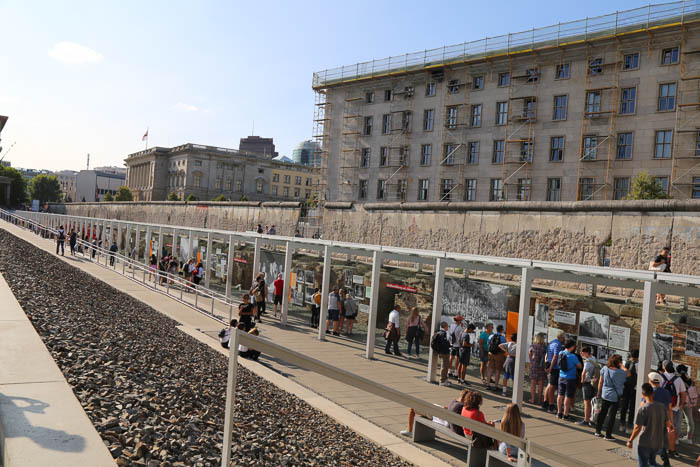 There’s so much to read and take in here, a great way to breathe in a bit of history in the city and learn about the Hitler Reign. 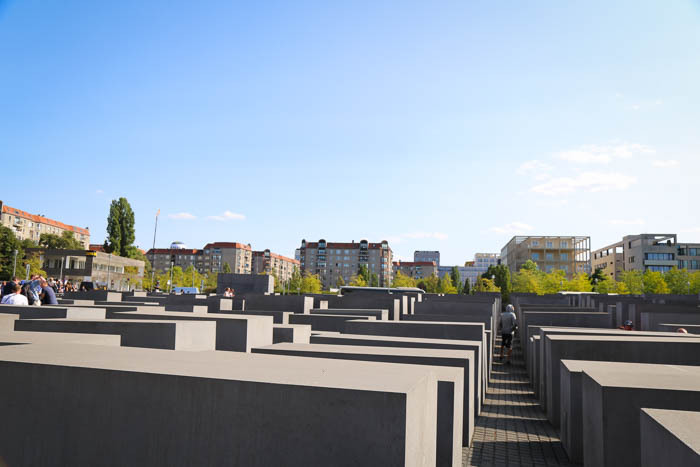 Another place I implore you to visit during your stay in Berlin is the Holocaust Memorial. 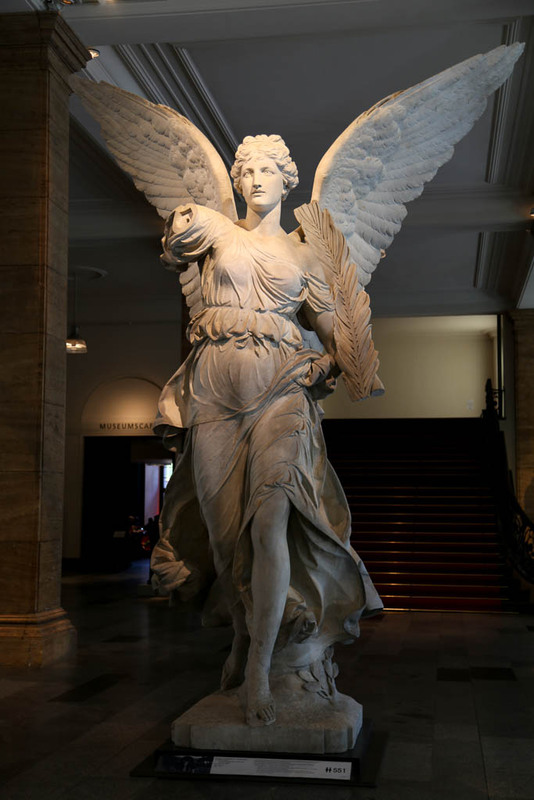 You can walk above and through the memorial itself or visit the museum below. 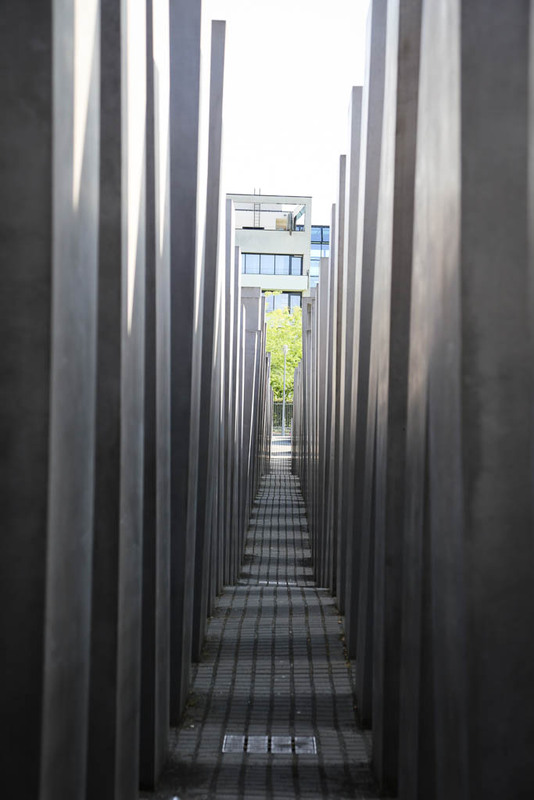 The memorial itself is overbearing, uneven and engulfing, a real spot for reflection and one everyone should walk through. 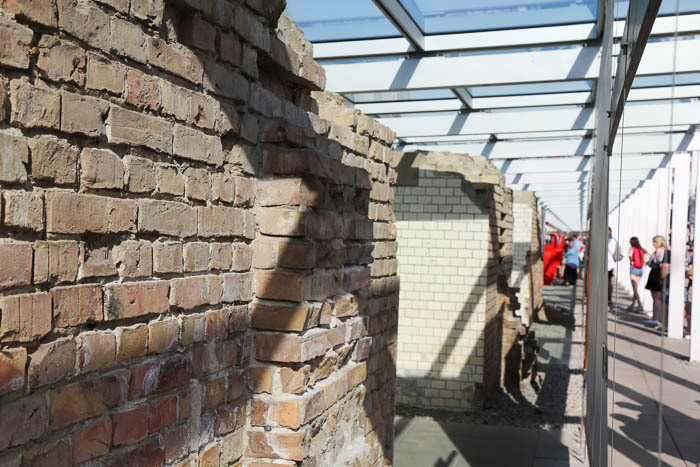 Having been to Auschwitz a couple of years back this was incredibly surreal for me and quite emotional. 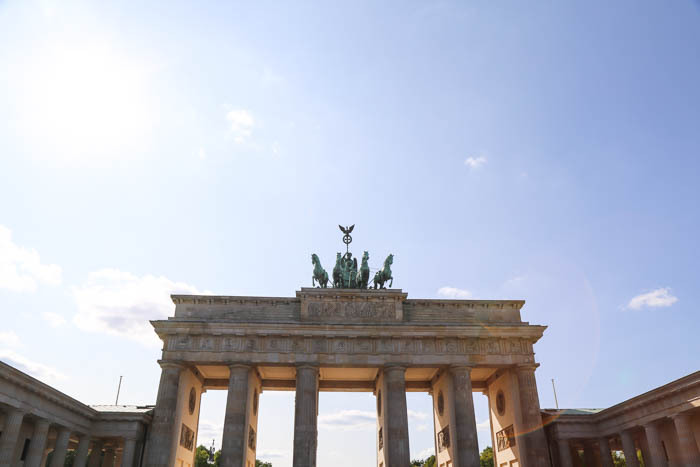 The Brandenburg gate is possibly one of my most iconic places in Berlin and a national symbol of peace and unity. 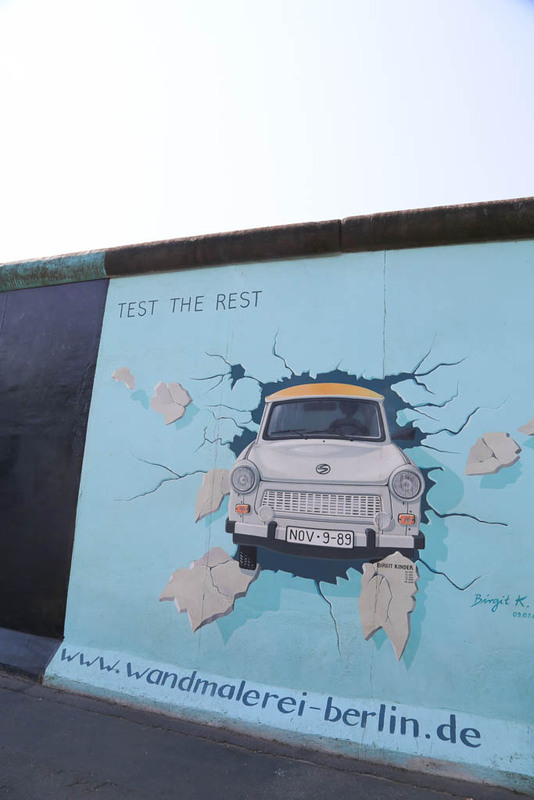 Once a landmark and symbol of division during the cold war the Brandenberg Gate has now established itself as one of Berlin’s most iconic monuments as it was here that Ronald Regan issued his command to “Tear Down This Wall!” back in 1987. 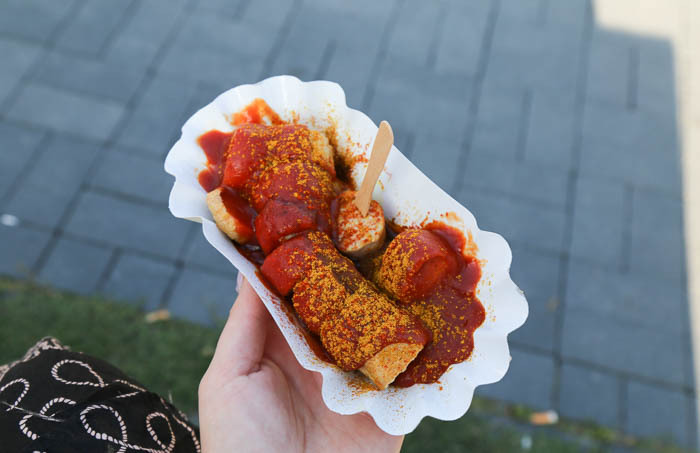 Another traditional food of Berlin, the Currywurst! A Bratwurst sausage steamed then fried and drenched in ketchup and curry powder and often eaten on the street as a snack – it sounds awful but tastes oh so good! 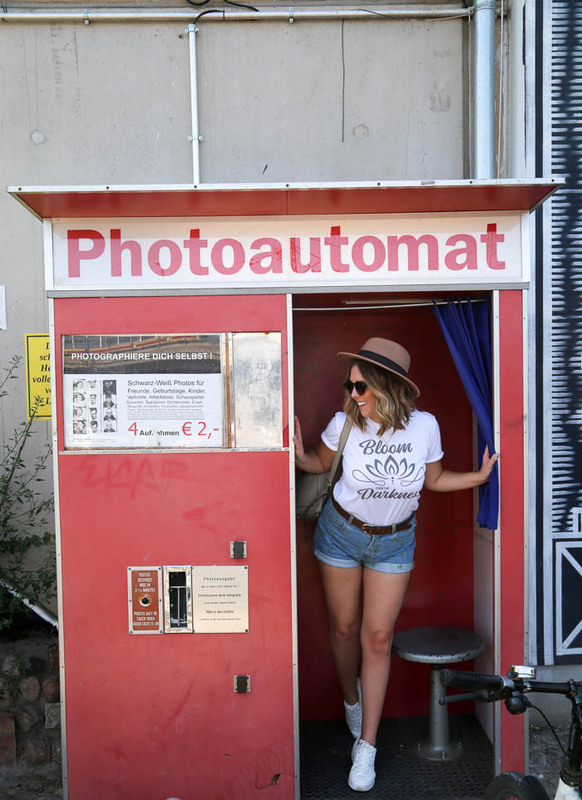 If you’ve got 2 euros in your pocket keep an eye out for one of the Berlin Photoautomat booths dotted around the city! 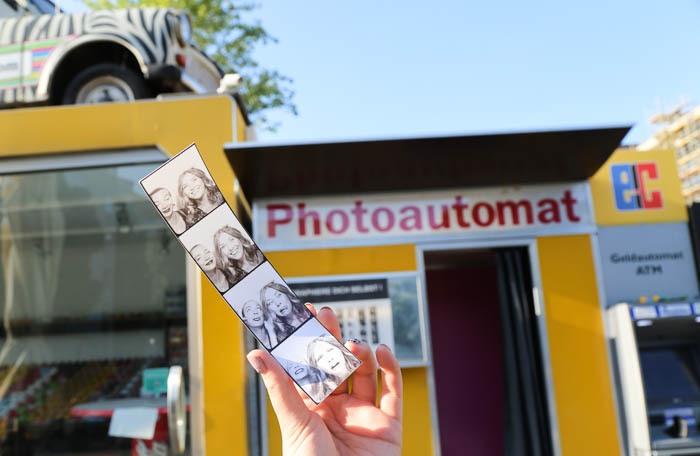 These old and restored analog photobooths have become somewhat of a tradition in Berlin as they’ve been around since the fifties and sixties! Skip the gift shop and jump in one of these instead so you can keep your strip of photos fro your trip forever! 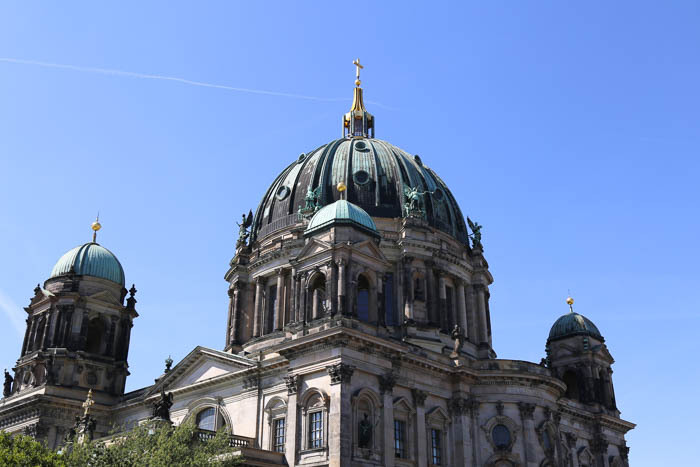 There’s no shortage of museums and history in Berlin especially not on museum island in the north part of the city with 5 of them all in close succession. You can grab a ticket to all of them for 18euros and learn to your hearts content! 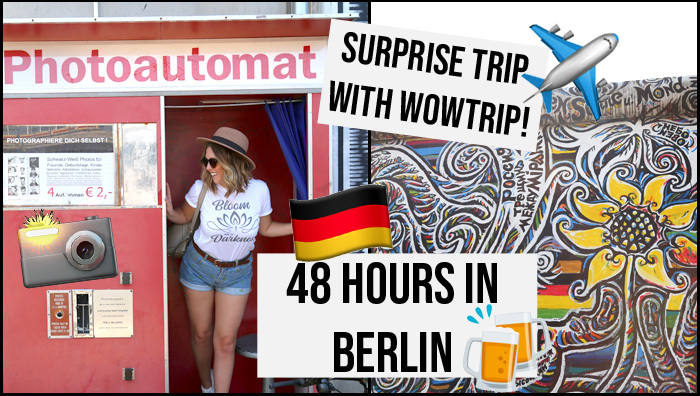 We had such an awesome time in Berlin and I absolutely loved the fact it was a total surprise! I’d certainly book another WowTrip again as it was a total breeze and it felt a lot longer than 3 days with everything we packed in too. 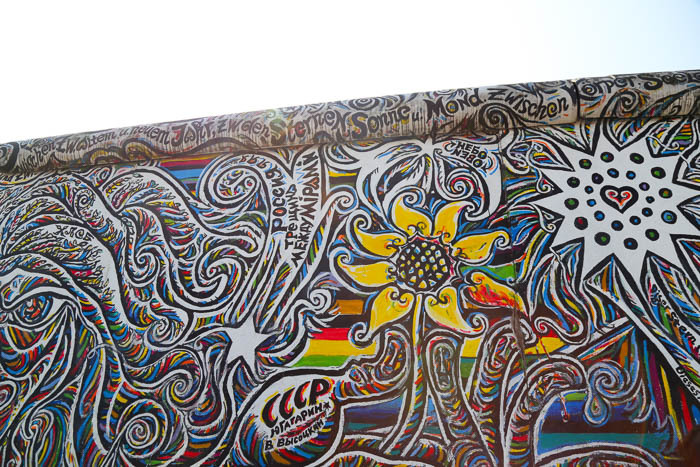 Thanks Berlin, you’ve been amazing! Book your own WowTrip and start your mystery adventure today! *Post in collaboration with WowTrip. Wowtrip paid for our adventure in exchange for an honest review of our experience. It was such an exciting thing to do and i’m already planning another one for next year!